Apple is preparing not two but three new iPhone models for 2017, the third of which will have a curved OLED screen similar to the Edge versions of Samsung's Galaxy phones, a report claimed on Monday. "There will be a 4.7-inch model, another that will be 5.5-inches and a premium handset that will be either 5.5-inches or larger equipped with a screen bent on the two sides," a source told Japan's Nikkei. The first two models are expected to stick to flat screens. 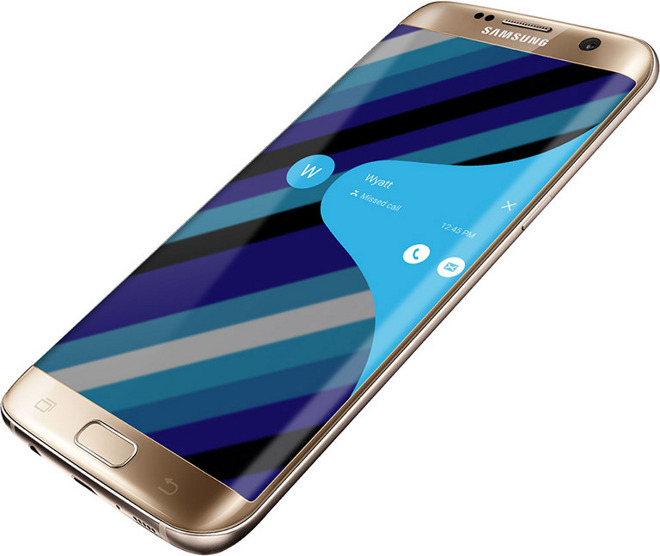 The person didn't specifically mention OLED technology, but making a curved screen effectively requires it —the Galaxy S7 Edge uses a Super AMOLED panel. It's not clear whether the other two iPhones will sport OLED or continue to rely on more conventional LTPS (low-temperature poly-silicon) panels. The latter view is supported by David Hsieh, a senior director at IHS DisplaySearch reached by Nikkei. He also backed the idea that Samsung will be Apple's lone OLED supplier, even though it may not be able to meet demands for both Apple and itself. Although now largely discounted, a number of earlier rumors suggested that this year's "iPhone 7" might come in three versions —standard, "Plus," and "Pro." The last would allegedly have perks like a Smart Connector. 2017 iPhone models have been hinted as having edge-to-edge displays, possibly integrating Touch ID and camera components in a major redesign.